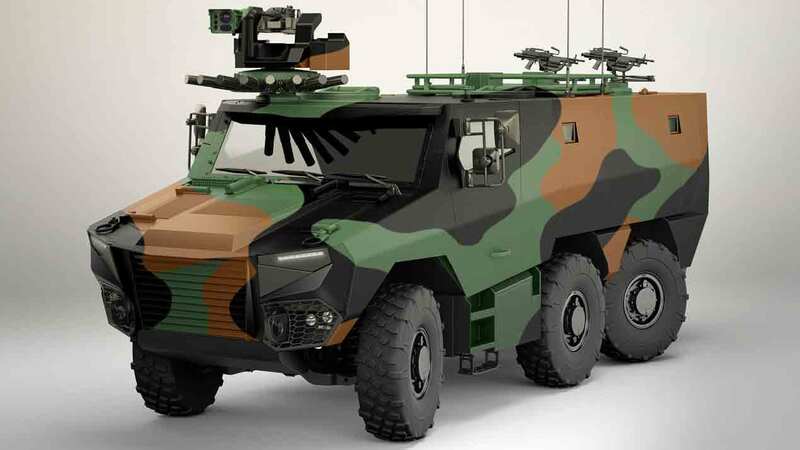 The French Procurement Agency (DGA) has placed the first production order with Nexter, Renault Trucks Defense and Thales for 319 Griffon and 20 Jaguar vehicles as part of the Multi-role Armoured Vehicle contract. The contract includes logistics support and associated training. A crucial stage in the French Army’s Scorpion modernisation programme, the awarding of this conditional tranche will launch the production of these new vehicles after only 27 months of development. Pooling of know-how and innovation capabilities creates the strength to design "connected" vehicles for tomorrow's collaborative combat, featuring a high level of protection, optimum adaptability by means of the vehicles’ ability to be reconfigured according to the operational requirements, mobility, and leading-edge weapon systems. The Scorpion programme was launched in December 2014, with the awarding of development contracts worth approximately €752 million for the Jaguar and Griffon. The Griffon Multi-Role Armoured Vehicle and the Jaguar Armoured Reconnaissance and Combat Vehicle, both of which benefit from a high level of protection, will replace the VAB, the first armoured vanguard vehicle; the AMX10RC light reconnaissance vehicle; the SAGAIE ERC armoured all-terrain vehicle; and the VAB Hot, which were used intensively by the Army for more than 30 years. The new vehicles will enable the French Army to have a “state-of-the-art” combat tool with the latest protection technologies and the best possible use made of digitized data on the battlefield. The Scorpion programme provides for the delivery of 1,668 Griffon vehicles and 248 Jaguar engines to the French Army, as well as the associated logistic support facilities. The first deliveries of the Griffon are expected in 2018 and the Jaguar in 2020. Jean-François Pellarin, director of the Scorpion programme within the Temporary Business Grouping and the representative for the EBMR contract, stated that "We are proud of this new sign of confidence on the part of the French Procurement Agency and can't wait to start producing this new equipment, which will project the operational capabilities of the Army to the future."